The above are very important questions in life. Success is very important in life and every one of us want success in every part of life. But this is not possible by every one but it does not means that it is very difficult to get success in every segment of life. There are various ways through which we can open our success way. There are various methods of astrology through which we can find the right way to get success in life. Gems are one of the way to make the things done in life easily. Gems have special power which increases the deficient power in body and make it strong to do the desired work. If gems are charged properly then miraculous effects are seen in life. So don't worry if you are puzzled in life, don't worry if you are suffering from any thing, don't worry if you are not able to get the right way in your life. One consultancy will change your life. There are various types of gems stones are available in Market which have different powers and belongs to different planets too. Ruby is a stone which is used to increase the power of Sun. Pearl is a stone which is used to increase the power of Moon. Coral gem is used to increase the power of Mars. Emerald is used to increase the power of Mercury. Yellow Sapphire is for Jupiter. Diamond represent the Venus and is very good to increase the power of Venus planet. Blue Sapphire or neelam is used for Saturn power. Cat's eye ring is used to get power of Rahu. Onyx is used for Ketu. But this is not easy to decide which gem stone is good for us. 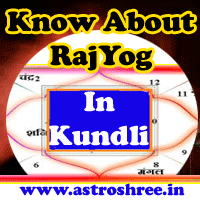 It need proper study of horoscope or kundli and then only it is possible to find out what is good for us. It is not advised to wear any gem stone just for the hobby or sake. As every gem stone has specific type of energy so it is very risky to use any gem stone without proper guidance. Read About How To Improve Luck In Competitive Exam Through Astrology? Gems stones are able to give power to the wearer. These are used to increase the power of a particular planet in the body. It can make any planet strong in our life. If Gem stone ring is charged with specific mantra or spell then miraculous effects are seen in life. Charged rings of gems stones are also work as a kawach or shield. Combination of gems stones are also used to make life better. Rings of gems stones are made with specific metal for better result. Through minute analysis of horoscope or kundli we can know which metal is used to make the ring of gem stone and therefore it is very necessary to get the horoscope checked. If there is no horoscope then also it is possible to find the correct gems stones. In that case palmistry is used or symptoms analysis is used. For that you have to consult. Some questions will be asked to you and then it will be decided what is best for you. Without hesitation, without doubt, without any negative thinking Use the stones to get success in your over all life. How To pass exam for permanent residency or IELTS EXAM? Best Gems Stone For Success, What gems stones will give power to us, How to gems stones help us to increase our hypnotic power, How to get success through gems stones, Astrologer for best gems stones selection.